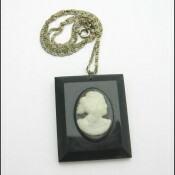 Home / Shop / Necklaces and Pendants / Rectangular Black CAMEO PENDANT Vintage Necklace Retro Twist! 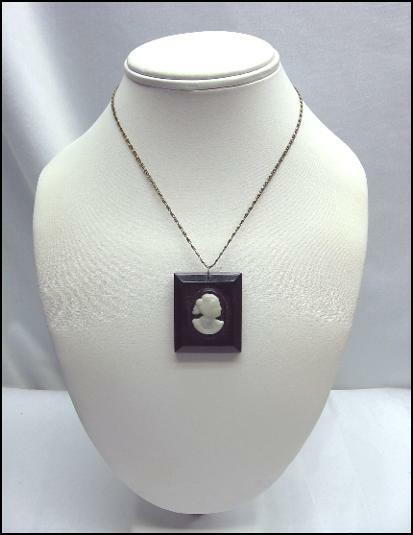 It’s a CLASSIC with a TWIST! 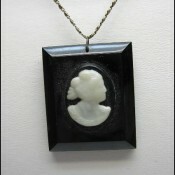 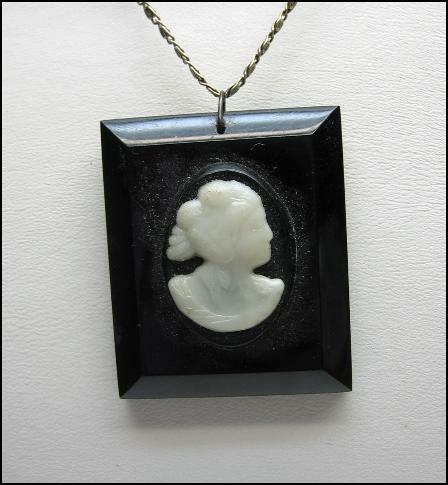 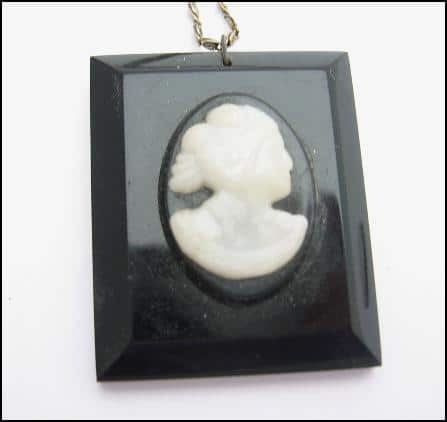 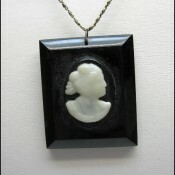 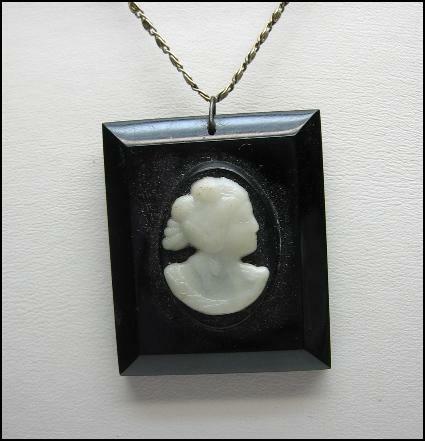 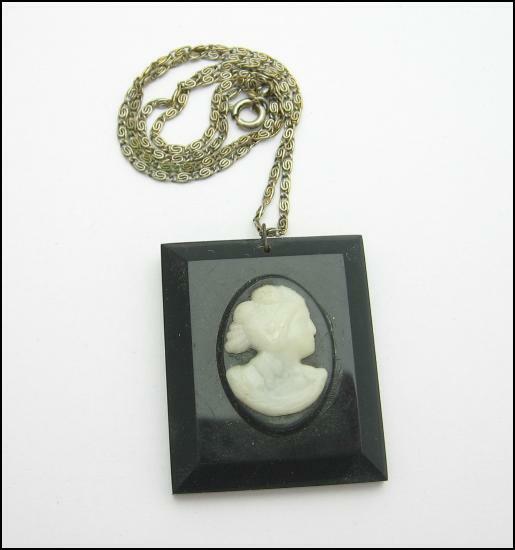 A white on black plastic oval cameo set on a black rectangular pendant! 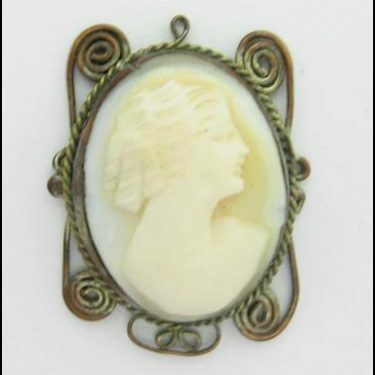 SKU: 1035. 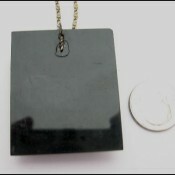 Category: Necklaces and Pendants. 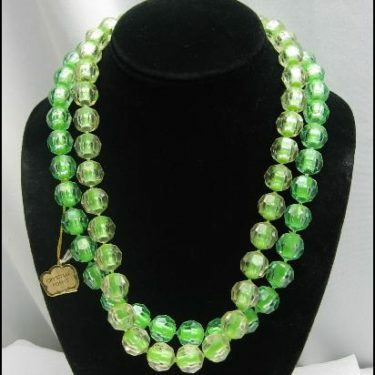 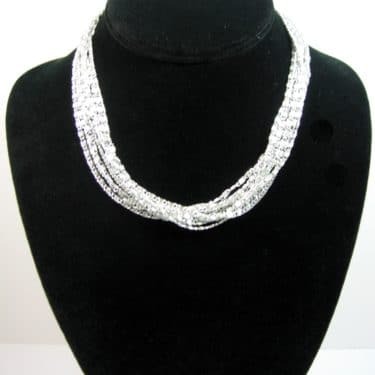 MEASUREMENTS: Necklace measures 14″ in length. 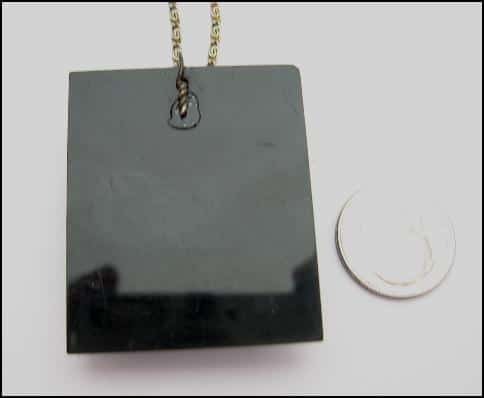 Pendant measures 1 1/2″ 1 1/4″. 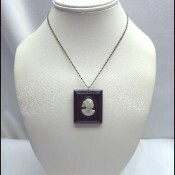 SIZE: Chain size is very SMALL. 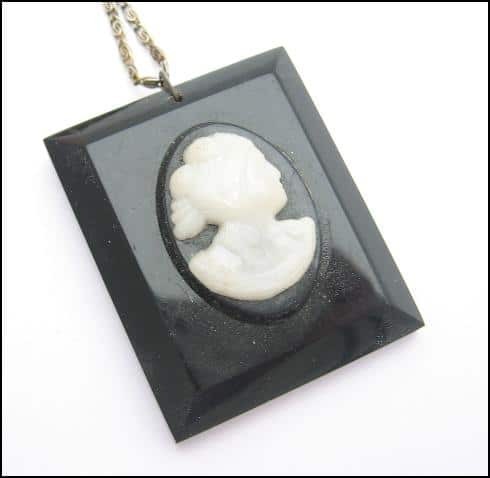 Under the traditional 16″ length.